This is a special event. 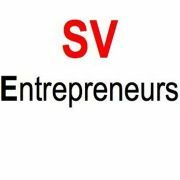 SV Android will invite a great of VCs, Angel Investors. Your app must be published at Android Market in order to present at this event. If you would like to demo your Android app, add a comments at this meetup with your app name, publisher name, URL. First in first serve. If you are VCs, or Angel investor, and would like to be part of the review panel, please let me know.